Like any other major investment, purchasing a solar system involves a lot of research and education to make sure you get the best deal. When it comes to comparing competitive proposals, not all quotes are created equal. Here are a few major items you should check for as you try to narrow your list of potential solar installers. 1. Is the module manufacturer and model defined? It’s important to know the specifics of what equipment your installer will be supplying you. Although it can be difficult to trace exactly where a panel is made, make sure the manufacturer and model name are clearly identified on your proposal so you can verify that the panel maker is a reputable source. 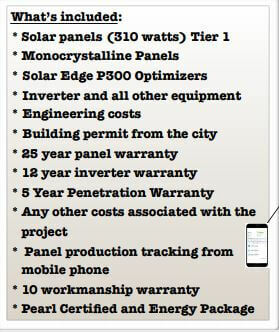 Keep in mind, the industry standard for a panel warranty is around 25 years. 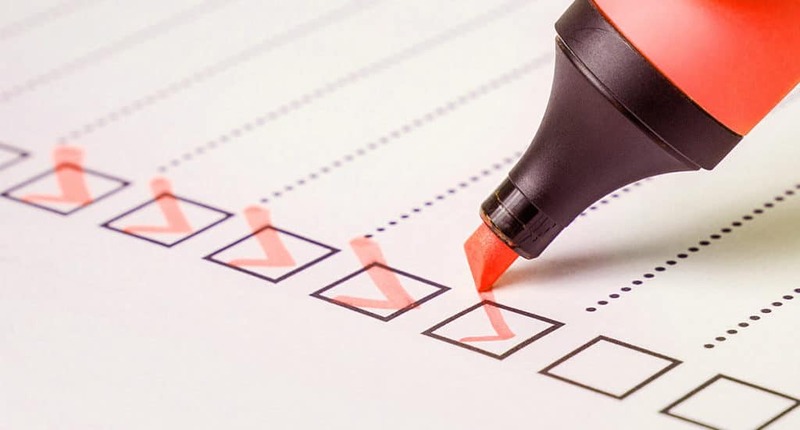 You will need to establish the likelihood that the manufacturer will be there to honor your warranty during that time. 2. Is the system designed to meet 80% of your historical energy use with your future energy needs in mind? We recommend your solar system to be sized anywhere between 50 – 80% of your historical energy usage. We do this by looking at your utility bill to see how many kilowatt hours you consumed in the past 12 months, then design your system to meet up to 80% of that. 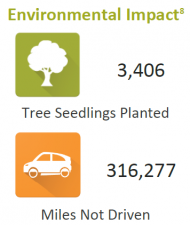 If you are being quoted a system that will cover 100% of your expected energy use, you might end up donating a lot of your solar energy to the utility! Why do we aim for 80% offset? Why not 100%? There are two big reasons: the funkiness of the utility’s energy calendar and because we expect most homes to become more energy efficient over time. Instead of using a normal January to December calendar, many NC utilities (including Duke Energy and Duke Energy Progress) use a calendar that starts in June and ends in May when they examine their customers’ solar energy production. This is important because with net metering you’re allowed to roll over excess solar production from month-to-month. So if you generate 1,000 kWh in January and use 800 kWh, you roll over 200 kWh as a credit for February. However, any excess that rolls over to the end of May is donated to the utility! Unfortunately (and not coincidentally) the end of May is when North Carolinians need that production to roll over the most because they have to ramp up their energy usage to stay cool in the summer heat. In order to ensure that we don’t donate any valuable solar energy to the utility, we have to design our systems slightly smaller than we would if this funky limitation didn’t exist. So instead of 100% offset we normally hit around 80%. The second reason we design up to 80% is that a majority of the time homes are getting more efficient. Between new appliances, upgrading light bulbs from incandescent to CFL and LEDs, changing out the windows, or eventually replacing the HVAC system, home efficiency is continually improving. If a system is designed to meet 100% of the home’s energy use in its current condition, it would again be overproducing once something like the old HVAC is replaced with a new and more efficient unit. Like all good rules, the 80% guideline has exceptions! Adding a pool, hot tub, electric vehicle, or even another family member mean more energy consumption for the homeowner. We can upsize (or downsize) a system when we know the homeowner’s energy needs will be changing in the near future. Similarly, we will also gladly design a system to meet a homeowner’s goal of going net zero! 3. Will a central string inverter or micro inverters be used? The inverter is the brains of your solar system so make sure you’re getting a smart, reliable brain. There are two main types of inverter: string and micro. String inverters are centralized and all of your solar panels will feed to one inverter (or two for larger systems!). With micro-inverters, each solar panel will have its own inverter installed on the back of the panels. We highly recommend string inverters for two reasons. First, the advantage that micro-inverters had in dealing with shading has been erased in recent years by advances in string inverter technology. Secondly, in our experience micro-inverters don’t hold up well to NC’s heat and humidity and are more likely to fail and/or need maintenance than string inverters. 4. Has a solar professional visited your home to complete an onsite assessment prior to the proposal? It’s difficult to estimate exactly how a solar system will perform in a given location without a solar professional coming out to your home. While satellite imagery is advancing, key elements that can easily be spotted in person are often missed online. Things like a dormer, chimney, vent, or tree shading can be misleading on a digital 3-D rendering. Many times, satellite images are also outdated, so there’s a good possibility those tiny trees in your backyard are now a big shade factor for solar. 5. Does the production range of your system fall within the NC standard of 1200 kWh to 1450 kWh per kilowatt annually? Make sure your solar production estimate doesn’t have any fluff! Looking at the ratio of kilowatt hours (kWh) to kilowatts (kW) of solar installed is a great way to compare production estimates across multiple solar quotes. Our rule of thumb is that a solar system in North Carolina should produce around 1,300 kWh per kW each year — e.g. we’d expect a 5 kW solar system to produce 6,500 kWh per year. 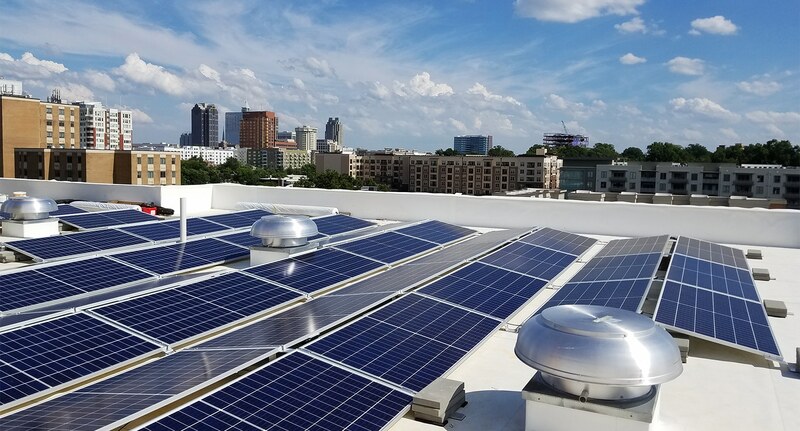 For the perfect solar system in North Carolina — facing due South, tilted to 35 degrees, and no shading — the maximum production we’d expect to see is 1,450 kWh per kW annually. If one of your solar quotes shows higher production values than 1,450 kWh per kW it should raise a red flag that maybe that solar company has added some “fluff” to the numbers to make their quote look better. We always confirm our solar production estimates with a physical in-person site assessment in order to take accurate orientation, tilt, and shading measurements that give us the confidence to guarantee our customers’ production! When it comes to solar, leave the fluff to the pups! 6. Does the solar installer guarantee their solar production estimates? This is a major question you should be asking each company that offers you a solar proposal. Your biggest risk in going solar is that the system doesn’t perform as it was designed and sold to. We firmly believe that the homeowner should not be liable for the risk that their system was advertised to produce more than what is physically possible given their roof, shading, and location. As a solar installer, we back our production estimates with a performance guarantee. 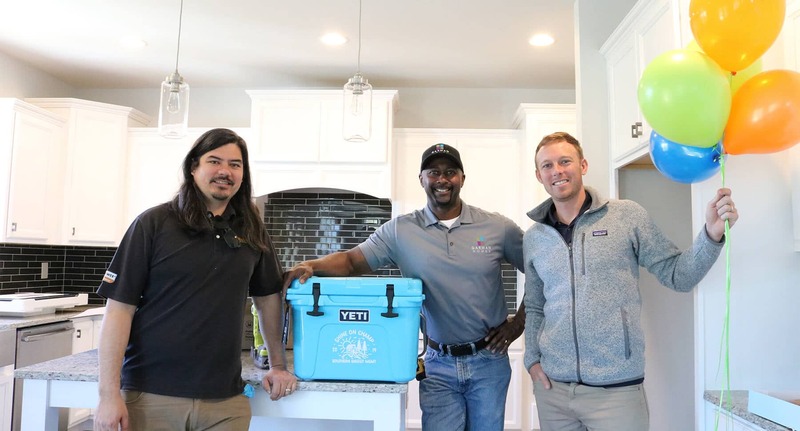 We’re only able to do this because we go to each home for a site evaluation beforehand, which allows us to determine how the shading, roof pitch, and location of the home will impact the system’s production. Unfortunately this isn’t an industry standard yet, but we hope other installers will get on board! 7. Are both production and consumption monitoring included in the standard install? Most solar installers offer complementary monitoring for the system once it’s installed. 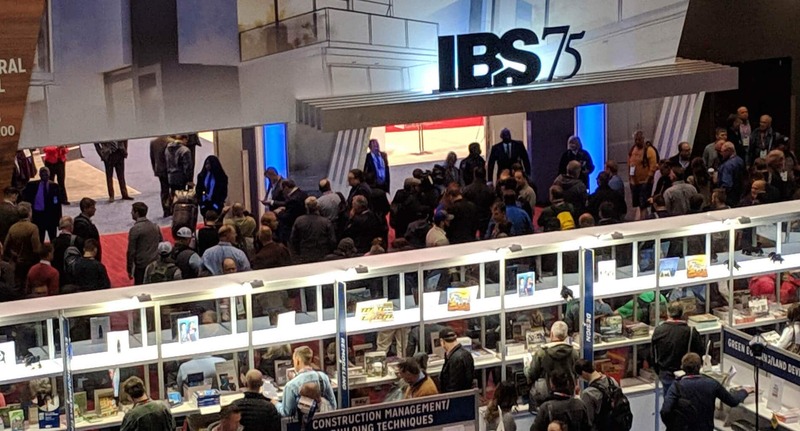 The biggest distinguishing factor to narrow the competition will be what levels of monitoring are included – production only or production and consumption. It’s obviously cheaper to just offer production monitoring so you can see how much energy the system is generating. Our approach is different though, and stems from our mission to change the way people make and use energy. By offering both production and consumption monitoring, our customers can see their energy usage and adjust their habits to save even more money. We believe production and consumption monitoring should be the standard, and we’re pushing the industry that way, but we’re still one of the few companies who include both without an up-charge. 8. 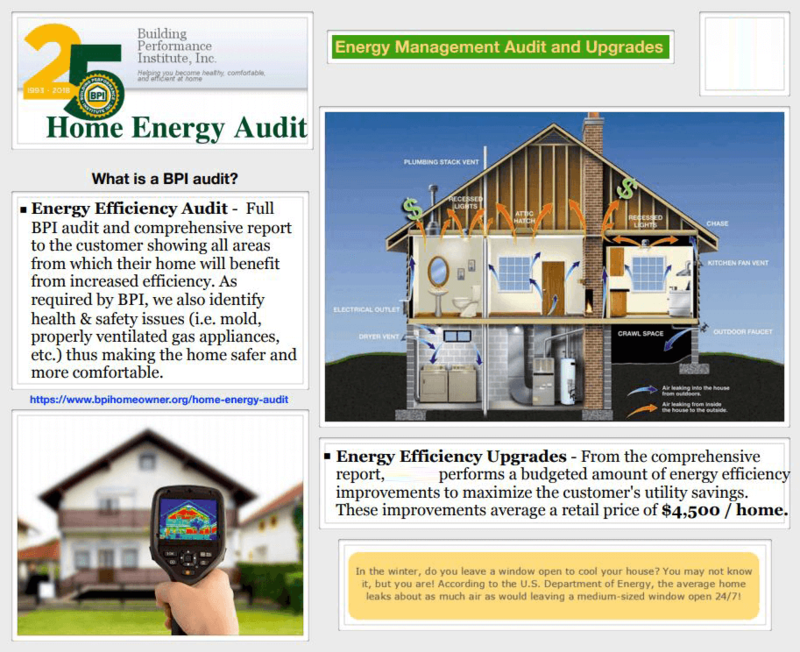 Is their information about your utility accurate? How are they estimating the increase in energy prices in the future? 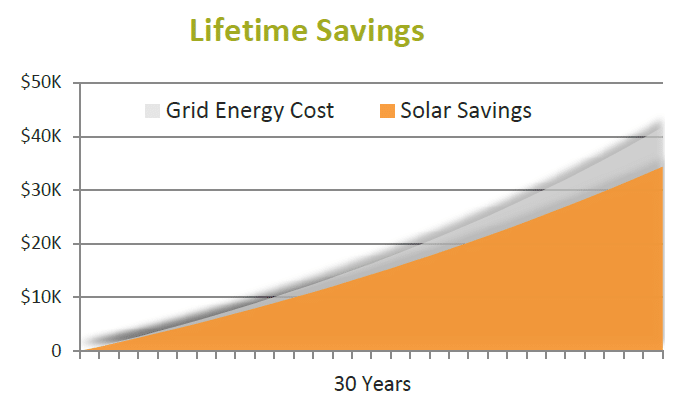 To project the lifetime solar savings potential for your system, the installer must know your current energy rate. If this number is wrong, the accuracy of their estimate of the financial benefit of the system will be off from the beginning. We have also seen some installers grossly overestimate how the cost of energy will rise in the future to make the solar system look more profitable.The Federal Energy Information Agency estimates a national average electricity price escalation rate around 2% annually. NC’s electricity prices are currently below the national average, so we forecast the escalation rate slightly higher around 3%. Make sure the current electricity price and price escalation rate are clearly referenced on any solar quote your considering! 9. Is the pricing transparent with terms clearly listed? Beware of markup to markdown tactics and sudden special discounts. If an installer is able to give you a flash teacher discount or other [fill in your career] discount it’s very likely that their system was overpriced to begin with. Also important to note, unfortunately the 2019 Duke Energy Rebate allotment is full. That means you should not be receiving quotes with this incentive factored in. Because of the historic popularity of this rebate, we also advise that you should be wary of any quote that guarantees the 2020 Rebate amount since we expect it to fill up even faster when applications open next January. As with any other major investment, it’s always important to make sure the turnkey price is black and white, and all items are clearly defined. If you’re financing your system, make sure the total system price is listed along with the monthly payments. 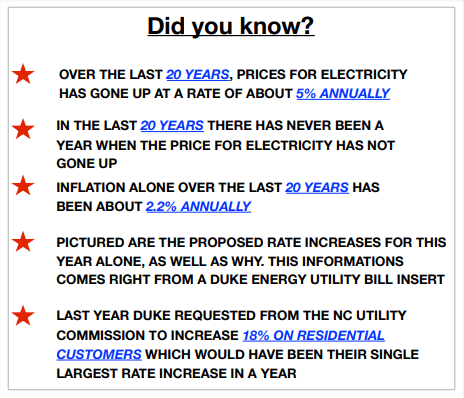 We’ve seen a lot of new players in the NC solar market recently who don’t understand NC specific solar policies. It never hurts to double check that the rebate and tax credit the installer has quoted are accurate. 10. Does the proposal clearly outline the warranties included with your system? Will the company be around to support you in 15+ years? We also provide a labor warranty to match the manufacturer’s warranty. But above all else, the most important factor to consider is whether the solar installer you choose will be there for you when you need support later on. 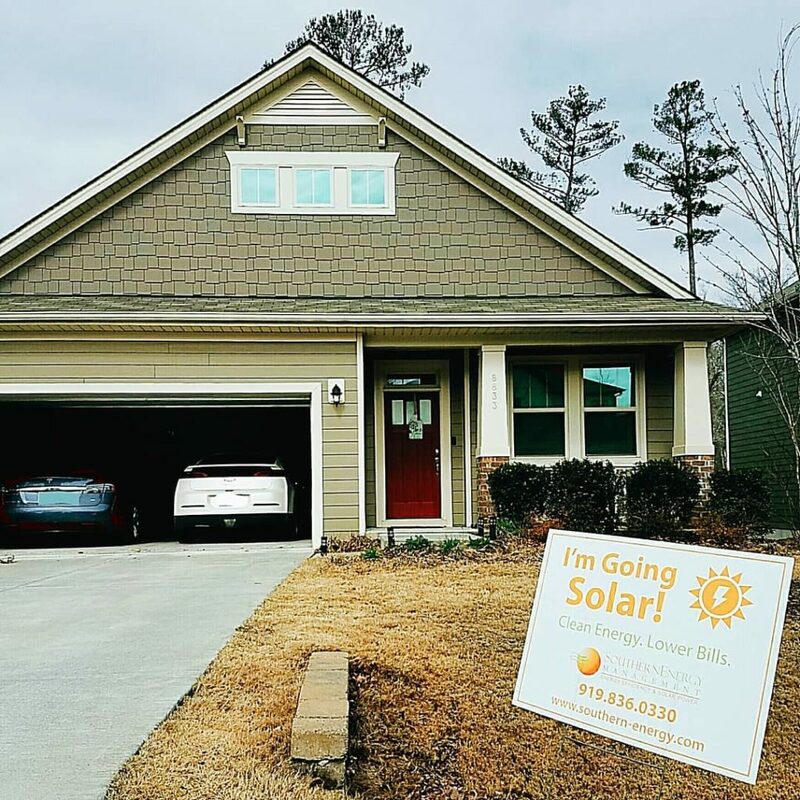 This is a great time to pause and take a moment to reevaluate how long the installer has been in the solar industry, how long they have been established in North Carolina, and how long they will continue to be here. 11. Is the proposal modeled to include savings from bundled energy efficiency upgrade services? 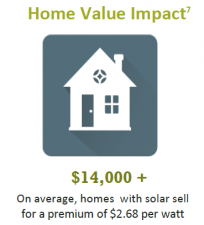 It’s true that higher-performing homes are better built for solar, and we’ll be the first to say that, but when it comes down to the numbers there are a few things to be aware of. Many solar companies offer a bundled energy efficiency audit with corrective upgrades to their home solar package. Without proper energy modeling and testing from a verified third-party inspector, it’s difficult to put an exact dollar value on energy savings derived from efficiency upgrades. 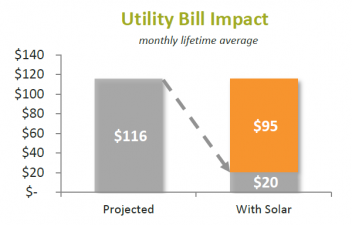 Sometimes these solar installers will also factor in the estimated utility savings from efficiency upgrades into their projected solar system savings. This not only skews the financials of their system savings projections to look more beneficial, but it is also an inaccurate and misleading representation of the system’s performance capabilities. Efficiency upgrades are also not eligible for the 30% Federal Tax Credit, so companies that bundle this value into their system cost are misusing this incentive. Production, warranties, modules, inverters — there’s a lot to consider when purchasing your solar system! We’re seeing a huge shift in North Carolina’s solar market in a way that raises some red flags. Over the past year, there’s been an influx of national solar companies using aggressive techniques to sell solar. We’re hearing more and more stories of people feeling pressured to buy, often with misinformation about the typical cost and process of purchasing a solar system. If you’ve gotten a proposal that doesn’t feel right to you, trust your gut and get multiple quotes. We’re here to answer any questions, anytime — No pressure! Reach out if you have any questions, we’d be happy to help support you on your solar journey! Can you spot what’s wrong with this quote? Scroll down and ‘Check Your Answers’ to find out! This quote includes energy efficiency upgrades. While we’re all for improving home performance, there are a few issues with bundling efficiency upgrades into the price and modeling of a solar system. First, efficiency upgrades aren’t eligible for the 30% federal tax credit, so the cost of this service shouldn’t be bundled into the solar system price to be discounted with the tax credit. Next, modeling in utility savings from the efficiency upgrades does not paint an accurate picture for the system’s financial savings. A 5% escalation rate for electricity is high. The Federal Energy Information Agency a 2% escalation. We project the escalation to be around 3% for North Carolina. This quote includes panel production tracking, but does not appear to include consumption tracking as well. Consumption tracking is important to understanding how your usage compares to what your system is producing as a tool to maximize the output of your solar power. This quote also does not define what the make and model of the panels are. With a 25 year panel warranty on the line, it’s important to know who the manufacturer is and if they are a reputable company that will be here to handle your claims in the long run.